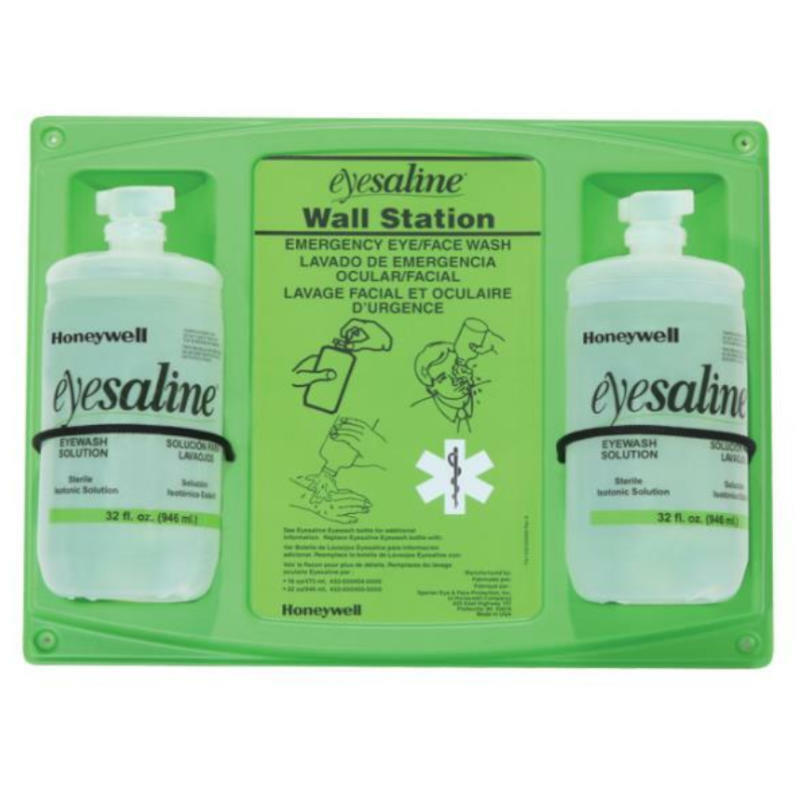 Fendall Personal Eyesaline Eyewash Stations are offered in a 16 oz single bottle station, a 32 oz single bottle station and a 32 oz double bottle eyewash station. These stations are for wall mounting and are provided with fasteners. They are Secondary Eyewashes that are ready for an eye emergency until an injured person reaches a primary ANSI station. Each eyewash is designed to easily snap out of its holder when the need arises.